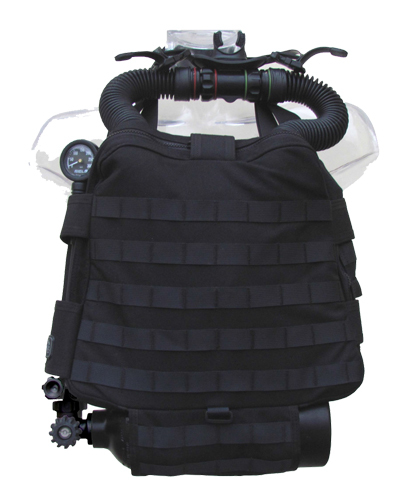 Caimano MK4 CDV Pro is a new generation of shallow water Closed Circuit Underwater Breathing Apparatus (CCUBA). It conceived, designed and manufactured by SIEL-OMG in order to meet all needs of professional divers. Closed circuit oxygen rebreather, ventral soŌ shield apparatus. 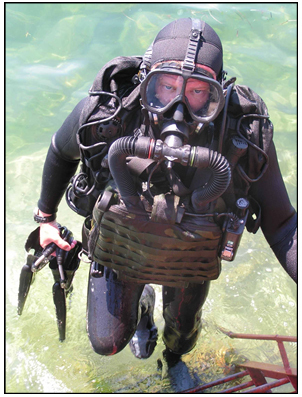 Weight and dimensions highly reduced compared to other same class rebreathers. Easy and quick to wear. The soŌ shield Cordura® material protects the breathing bag against tearing and abrasions. InnovaƟve radial type soda lime filter designed for large capacity and opƟmal absorpƟon. AutomaƟc (on-demand-valve) and manual (by-pass) oxygen injecƟon control. 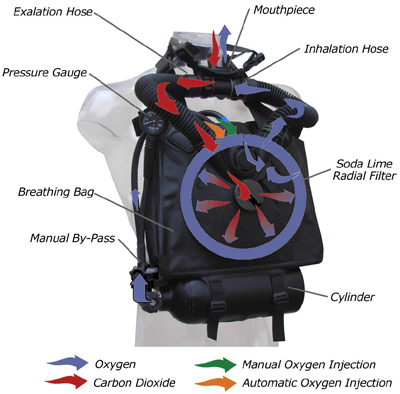 Possibility to exclude on-demand valve during diving. No tools required for setup and operaƟon.